Dr. Sarvepalli Radhakrishnan (5 September 1888 – 17 April 1975) was an Indian philosopher and statesman who was the first Vice President of India (1952–1962) and the second President of India from 1962 to 1967. His birthday has since been celebrated as Teacher's Day on 5 th September in India. One of India's most distinguished twentieth-century scholars of comparative religion and philosophy, his academic appointments included the King George V Chair of Mental and Moral Science at the University of Calcutta(1921–1932) and Spalding Professor of Eastern Religion and Ethics at University of Oxford (1936–1952). His philosophy was grounded in Advaita Vedanta, reinterpreting this tradition for a contemporary understanding. He defended Hinduism against "uninformed Western criticism" contributing to the formation of contemporary Hindu identity. He has been influential in shaping the understanding of Hinduism, in both India and the west, and earned a reputation as a bridge-builder between India and the West. Radhakrishnan was awarded several high awards during his life, including a knighthood in 1931, the Bharat Ratna, the highest civilian award in India, in 1954, and honorary membership of the British Royal Order of Merit in 1963. 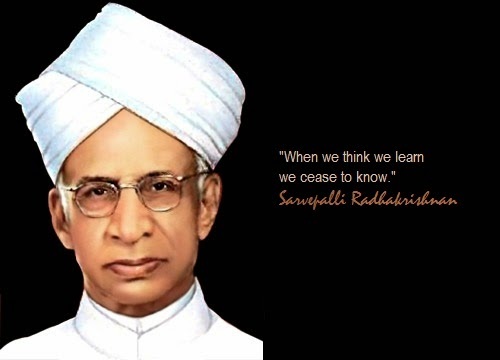 Radhakrishnan believed that "teachers should be the best minds in the country". Since 1962, his birthday is celebrated in India as Teacher's Day on 5 September. Sarvepalli Radhakrishnan was born in a Telugu Brahmin family in a village near Thiruttani India, in the erstwhile Madras Presidency near the border of Andhra Pradesh and Tamil Nadu states. His father's name was Sarvepalli Veeraswami and his mother's was Sitamma. His early years were spent in Thiruttani and Tirupati. His father was a subordinate revenue official in the service of a local zamindar (landlord). His primary education was at K.V High School at Thiruttani. In 1896 he moved to the Hermansburg Evangelical Lutheran Mission School in Tirupati and Govt hr sec school Walajapet. I was married to Sivakamu, a distant cousin, at the age of 16. As per tradition the marriage was arranged by the family. 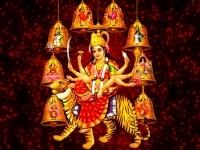 The couple had five daughters and a son, Sarvepalli Gopal. Sarvepalli Gopal went on to a notable career as a historian. Sivakamu died in 1956. They were married for over 51 years. Former Indian Test Cricketer VVS Laxman is his great grand nephew. In April 1909, Sarvepalli Radhakrishnan was appointed to the Department of Philosophy at the Madras Presidency College. Thereafter, in 1918, he was selected as Professor of Philosophy by the University of Mysore, where he taught at its Maharaja's College, Mysore. By that time he had written many articles for journals of repute like The Quest, Journal of Philosophy and the International Journal of Ethics. He also completed his first book, The Philosophy of Rabindranath Tagore. He believed Tagore's philosophy to be the "genuine manifestation of the Indian spirit". His second book, The Reign of Religion in Contemporary Philosophy was published in 1920. In 1921 he was appointed as a professor in philosophy to occupy the King George V Chair of Mental and Moral Science at the University of Calcutta. He represented the University of Calcutta at the Congress of the Universities of the British Empire in June 1926 and the International Congress of Philosophyat Harvard University in September 1926. Another important academic event during this period was the invitation to deliver the Hibbert Lecture on the ideals of life which he delivered at Harris Manchester College, Oxford in 1929 and which was subsequently published in book form as An Idealist View of Life. In 1929 Radhakrishnan was invited to take the post vacated by Principal J. Estlin Carpenter at Harris Manchester College. This gave him the opportunity to lecture to the students of the University of Oxford on Comparative Religion. For his services to education he was knighted by George V in the June 1931 Birthday Honours, and formally invested with his honour by the Governor-General of India, the Earl of Willingdon, in April 1932. However, he ceased to use the title after Indian independence, :9 preferring instead his academic title of 'Doctor'. He was the Vice-Chancellor of Andhra University from 1931 to 1936. In 1936 Radhakrishnan was named Spalding Professor of Eastern Religions and Ethics at the University of Oxford, and was elected a Fellow of All Souls College. That same year, and again in 1937, he was nominated for the Nobel Prize in Literature (although this nomination process, for all laureates, was not public at the time. Further nominations for the award would continue steadily into the 1960s.) In 1939 Pt.Madan Mohan Malaviya invited him to succeed him as the Vice- Chancellor of Banaras Hindu University (BHU). He served as its Vice-Chancellor till January 1948. Radhakrishnan started his political career "rather late in life", after his successful academic career. His international authority preceded his political career. In 1931 he was nominated to the League of Nations Committee for International Cooperation, where after "in Western eyes he was the recognized Hindu authority on Indian ideas and a persuasive interpreter of the role of Eastern institutions in contemporary society." When India became independent in 1947, Radhakrishnan represented India at UNESCO (1946–52) and was later Ambassador of India to the Soviet Union, from 1949 to 1952. He was also elected to the Constituent Assembly of India. Radhakrishnan was elected as the first Vice-President of India in 1952, and elected as the second President of India (1962–1967).